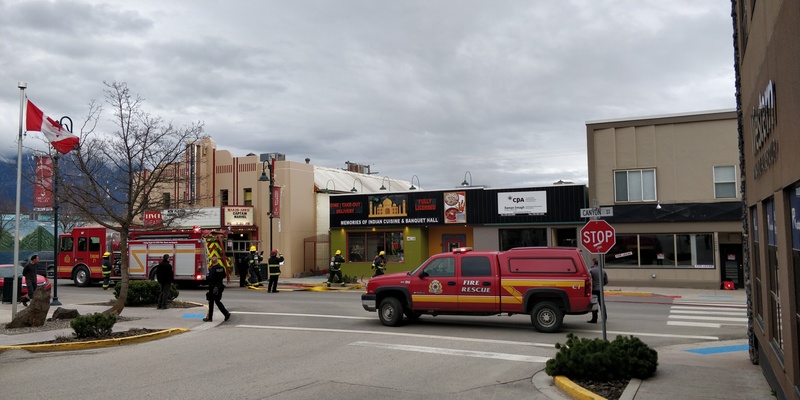 Though investigations haven’t been able to determine the cause the fire, Acting Fire Chief Jared Riel says it originated from the roof around the HVAC unit. Smoke entered the kitchen and dining area but no major fire damage was observed. The owner had just recently acquired the business and had gone through inspections just a few months prior to the incident. 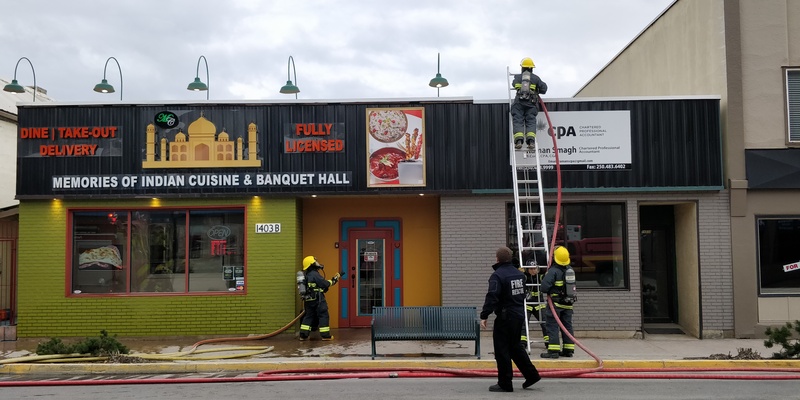 Thick plumes of smoke rose above Canyon Street’s Memories of India Cuisine restaurant at 6:00 pm on Monday. 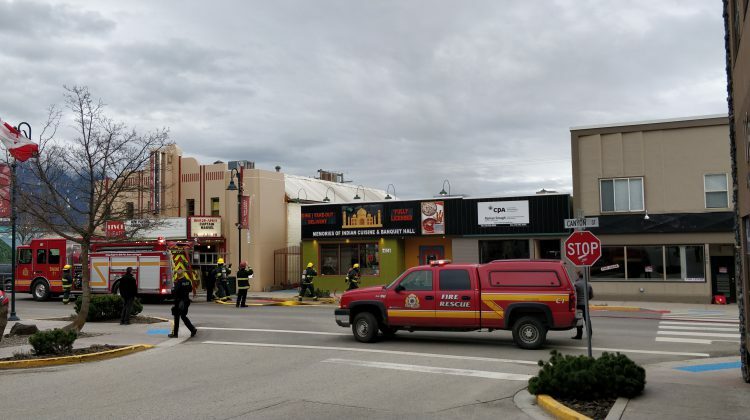 Creston Fire and Rescue Services responded within 15 minutes in full force. Fire hoses were attached and crews scaled the roof. However, the smoke subsided before full scale suppression efforts needed to be made. On the scene was Acting Fire Chief Jared Riel. Upon further investigation, crews have yet to determine the cause. 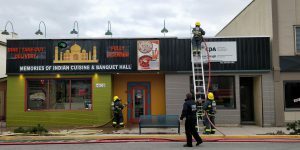 Nobody was hurt and no damage to neighbouring businesses have been reported.